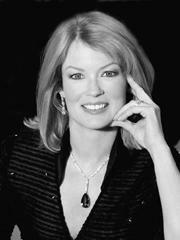 Mary Hart - Know nationally for her work in the news media. Terry Redlin – World wide acclaim for his beautiful artistic work portraying nature and American life. Al Neuharth – Renowned as the founder of USA TODAY, the Freedom Forum, and honored with the Al Neuharth Media Center in Verimillion, S.D. Sitting Bull - The famous leader of the Hunkpapa Sioux tribe who was a man of vision and well respected by all who knew him. Crazy Horse - Known as a brave and generous Sioux Indian Warrior, he is honored at the Crazy Horse Memorial in the Black Hills of South Dakota. You'd hate to put any of those Native Americans first, even though they're the most interesting and well known of any of those people outside of Tom Brokaw. Maybe it's alphabetical. Or racialbetical. But "and many others!" includes Jerry Olson, Jack Marken, Vern McKee, Martin Busch, et al. (but not Cheryl Ladd, Sparky Anderson, Ted Waitt, and Katherine Bach, at least not until after the remake of Dukes of Hazard), and some of them aren't native American, so maybe that absolves the ordering decision. I'd refer you to the virtual tour, but it seems to be woefully out of commission. As a service, I'd like to give the museum a hand and reconstruct the tour on my site using powerful visual language, so lean back and imagine yourself standing in the middle of South Dakota - dusty, windswept prairie, waves of golden grass, black-hills style, coal-striated scenery, rattle snakes, packrats, ground squirrels, the weighty history of The Sioux Wars and frontier life and justice, the solemn silence of missing herds of bison and extinct flocks of passenger pigeons one of which once darkened the plains, the other the skies...now...quick! add Mary Hart! (or Tom Brokow...as you please). Ah...infinite variety indeed! A section on Ted Waitt would be pretty amusing. Incidentally, the Dukes of Hazzard remake looks horrendous. I can't believe you're trying to make people believe you're not totally into Mary Hart. Just searching thru the web. Thought it was pretty neat you had Vern McKee in your story. He is my father but I don't know how you got his name? Just wondering. Just follow the "et al" anonymous. Your dad was quite the sportsman.